America has lacked a launch vehicle for manned spaceflight for too long. Ras G just brought it back. Our cup runneth over. And just as we’re adding our favorite stories to read to the new Reading List feature, we bring you some of our favorite listening. This is what’s playing through my cans as I’m working and meditating. 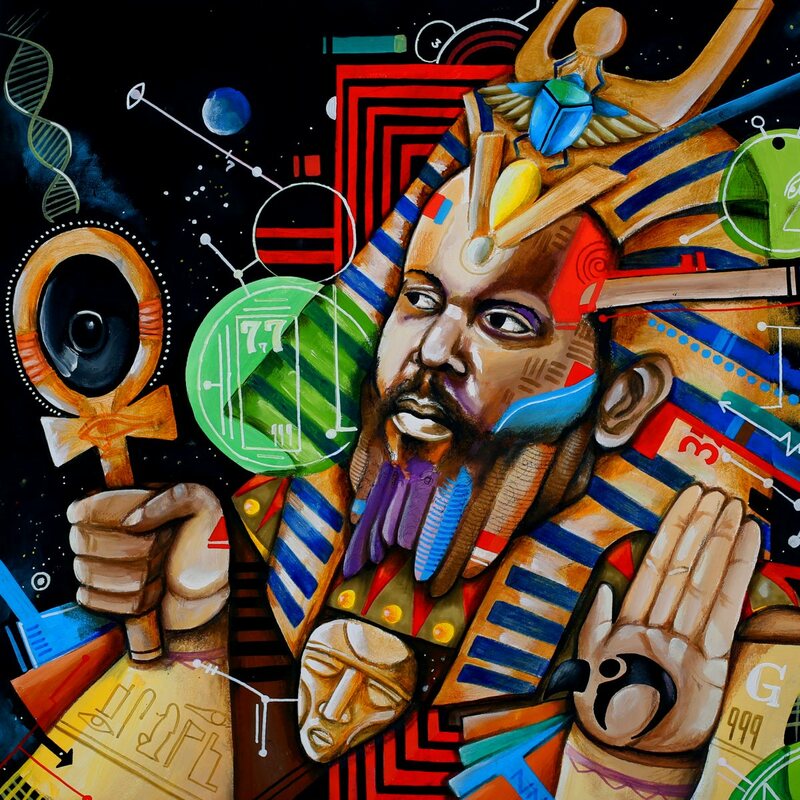 Ras G – Back On The Planet is, simply, out of this world. Forget what you know about Brainfeeder and LA; this is earning Afrofuturism comparisons to Sun Ra and George Clinton with good reason. Dense, jazzy, and splendidly improvisatory, it’s some of the most dynamic hip hop/electronic music to come out this summer. Gregory Shorter, Jr. is doing wonderful things; I hope we get to talk to him soon. Out now on NinjaTune (digital was released yesterday). Pitchfork earns controversy now and then, and putting numbers on music never feels quite right. But Miles Raymer nails the review for them; it’s well worth a read. Speaking of LA, Austrian-born to Austrian and Mexican-American parents, John Tejada now calls the city of angels home. And it’s delightful to welcome new music from Tejada, with beautifully-reserved, cheery, elegantly composed dance tracks in a new EP – listen above. Also, what’s that about a live hardware set at Berlin’s Panorama Bar, enroute to more of the same around Europe and at Decibel in Seattle? We may have to check in with Maestro Tejada. It’s also worth noting that 50WEAPONS has joined the monthly subscriptions available on Drip.fm. A worthy antidote to the soul-sucking, music-killing likes of Spotify, Drip lets you get high-quality downloads (not streams) of your favorite imprints and supports those independent labels and artists. 50WEAPONS is just made for the service. Founded by Modeselektor, it’s been steadily releasing some of the best electronic music out there, including Anstam, Addison Groove, Bambounou, Benjamin Damage, Cosmin TRG, Dark Sky, Marcel Dettmann, Phon.o and Shed. (Extra shout out to Phon.o and Shed, who each turned in fantastic performances this weekend.) You even get extra discounts, special exclusives, and even stems and accapellas. $10 a month? What do the kids say these days, that “shut up and take my money” thing? Yeah, that. Oh, yeah, and did we mention that Julianna Barwick’s Nepenthe is now out? This music feels like a shortcut to the actual sounds the world makes when I’m waiting for the other person in bed to wake up, on the mornings I have no regrets pestering me yet, or arguments to re-play and this time I win. This is Nepenthe; I am in here; everything’s good. Electric Indigo. Vienna’s Electric Indigo aka Susanne Kirchmayr has kept showing up here, and will keep showing up here, for her broad span through composition, live electronic musicianship, and DJing and selection. And her playlist for PodcastBERLIN’s Klark Kennt Podcast is a brilliant survey of some of the best things happening in experimental dance music, an eclectic demonstration that “techno” need not stick to the straight and narrow. Check out, among others, Bill Youngman’s cut – his live work is terrific and we’ll talk more about that soon. Bursting at the seams with great artists in music and VJ sets, it’s positive action that proves the artists are there. Moderna. LA’s Moderna (aka Missy Livingston) chills us out again and again; she contributed a summer mix to CDM, among others. Here, she has a richly-diverse mix of electronic music for an excellent series called the Modularfield AirCast (from Modularfield Records of Köln-Mülheim). Miss Kittin. From Grenoble, France, Miss Kittin (Caroline Hervé) is a terrific producer and DJ, both. For her Items & Things Podcast, she pulls some soulful and beautiful tracks, including, of course, Items & Things’ own intelligently-diverse catalog. Spanning from Autechre to Morgan Geist to Mano Le Tough to Benoit & Sergio, there’s a bit of everything, and of course Kittin’s own terrific collab with Marc Houle. It’s a terrific hardware rig, though, and Chris’ musicianship is well represented here. Read the full blog post. For something else involving an Elektron box but in every other way entirely different, we turn to Mark Mosher. He uses Elektron’s Octatrack with Native Instruments’ Absynth for something entirely ambient – no sequencing, no beats. Lots of reflections in his blog post. For a much cheaper rig, AuxPulse plays just a single KORG DS-10 system running on the Nintendo DS – at used prices, that might be competitive with a power adapter for one of the devices above. A blast from the past (2012, to be exact). See you in another week or so with another of these epics – keep those submissions coming. We’d welcome guest curators, too, if you’re interested.